Happy Friday everyone! Is it just me, or has this been the longest week ever. I honestly didn’t know if I would make it through. Maybe in part because my baby who has been solidly sleeping through the night for over a month spent every night this week waking up at least twice. Seriously. This has been the worst he has slept in months. He seems to be eating just fine and is happy as can be so I don’t think it’s teething…so the obvious answer is a growth spurt. Which makes sense because his little toes are magically stretched to the end of his 9 month jammies, which is breaking my heart because at 12 months he isn’t in the baby section anymore, but the toddler. My heart is breaking. Stop growing baby boy!! On a happier note though, it’s Friday. Here are some of my favorite things going on! 1. 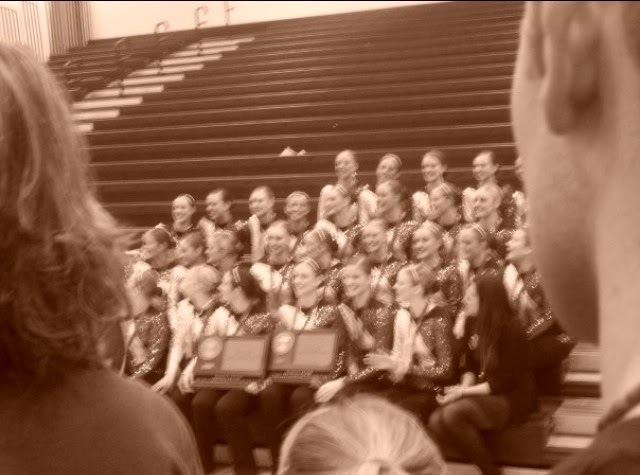 Dance team sections are tomorrow! I have been so busy being a mama, wife, student, and employee that I haven’t been able to watch my favorite team all year. That will finally change tomorrow. I cannot say enough how exciting dance competitions are, I miss dancing and also cheering on my sissy so much. And I will likely still get nauseous and shake when they announce places. Dance cult for life. 2. Gap and Old Navy have super buck redemption this week! Which comes in handy because like I said, baby boy is outgrowing all of his baby boy clothes. And spring goodies are rolling out and I am bursting with excitement of dressing my little man. 3. Plaid. I have never been too big into plaid, but lately I am loving it. 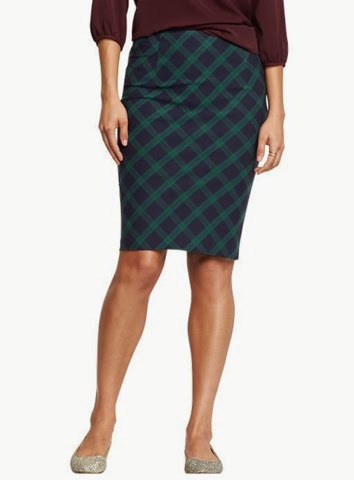 I just got this skirt I have been eyeing for months with aforementioned super bucks and am super excited for it to arrive. Slowly but surely I am building an awesome work wardrobe. I also love love love my blanket scarf. So big, so soft, and so cozy. Plaid is making it’s comeback, folks. Take note. 4. Baby boy rompers. Last summer when my little party crasher arrives, I had to rush out and buy him some newborn clothes. This outfit still kills me. I squeezed him into it as long as possible. He was soooo delicious in it, and it matched his baby shower and nursery theme (because yes, I coordinate such things). 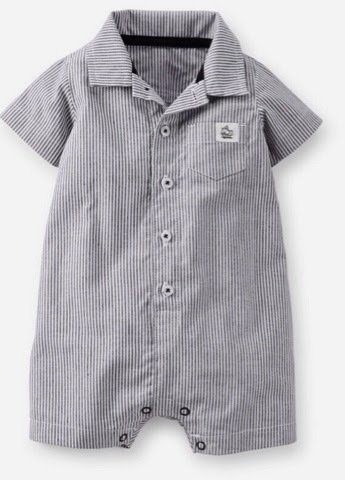 Carters has rolled out some summer outfits on their website, and this one has me melting. 5. Saying goodbye to January! January is always the longest/saddest month of the year. The holidays are over, it’s cold, we are stuck inside, and the days are painfully short and dark. February is equally icky, but it is also only 28 days. 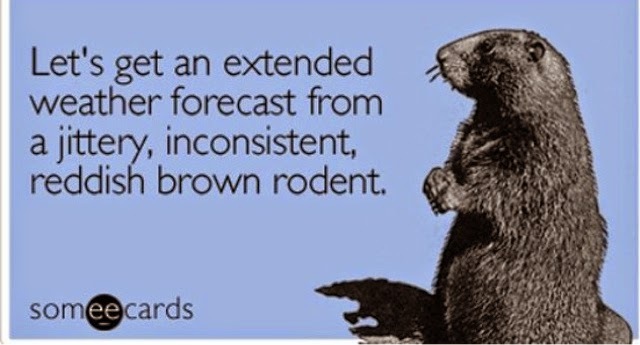 I say goodbye to January with no sadness, and hope Mr. Groundhog shows up next week and tells us it will be sunny and 75 by mid March. It happened in 2012, and it can happen again. I am already counting the days til I can break the jogging stroller back out and enjoy some sunshine with my boys! I want that skirt. I just wish I had somewhere to wear it to! I don't know if my kids would appreciate my classin' it up around here. Nor would it be the most practical thing to wear running after preschoolers. But I still want it! 🙂 And that romper is the cutest! 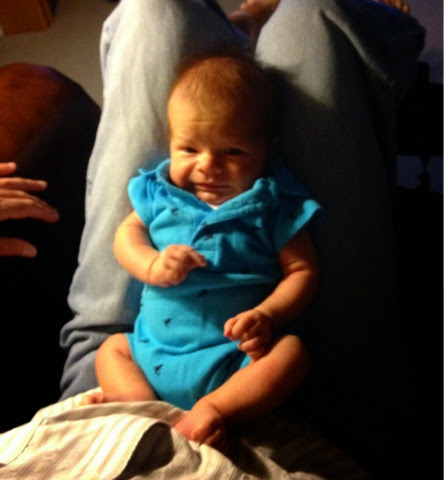 Oh how I miss dressing babies–enjoy it momma!